When Kate Smits was an engineering student at the U.S. Air Force Academy in Colorado Springs, she struggled to find a mentor. What she did find, though, is a passion for STEM education and breaking down the barriers to participation in a field where nearly half of all workers in 2015 were white males, according to the National Science Foundation. So when Smits received a National Science Foundation CAREER Award three years ago, it made perfect sense to dedicate the educational outreach portion of her grant to reaching those potential future scientists and engineers on their own turf – a middle-school classroom. 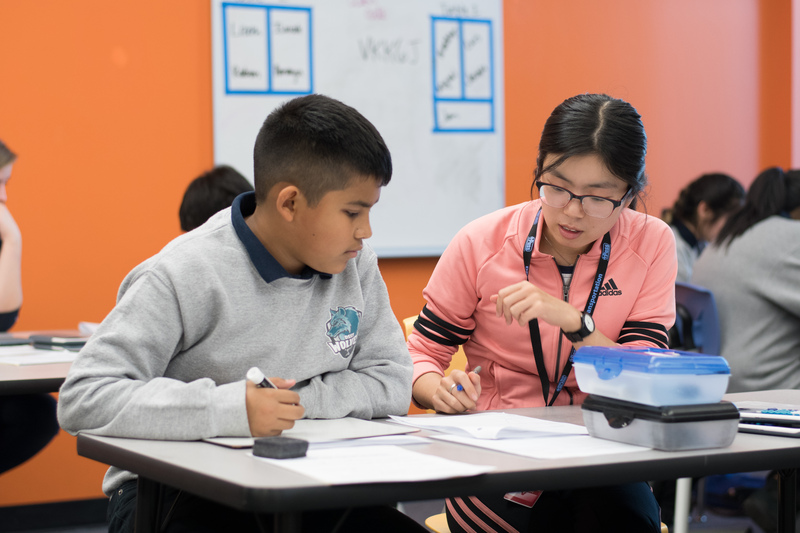 Twice a week, 12-15 Mines students visit College View Middle School, a public charter school in south Denver, for a hour of math and science tutoring and mentoring. College View, which is part of the Denver School of Science and Technology network, is 95 percent minority and 93 percent of students come from low-income backgrounds. Students attend tutoring based on need, teacher requirement or interest. 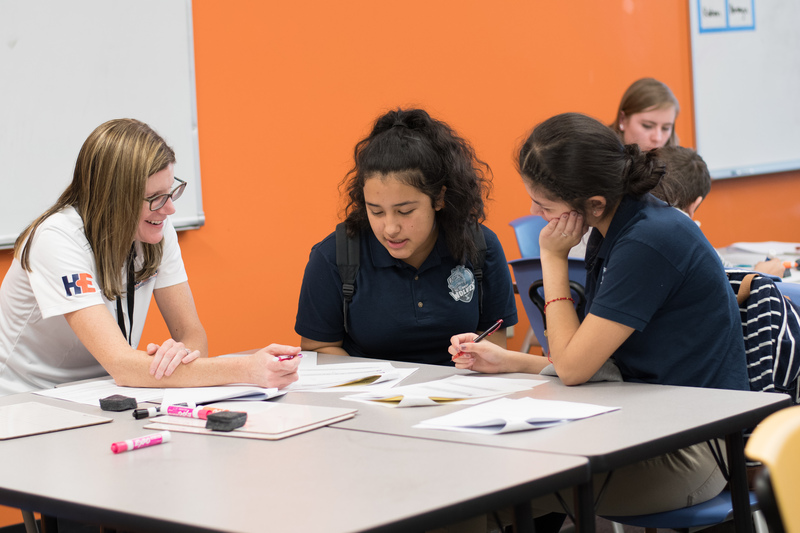 On a recent afternoon, tutors worked with the middle schoolers in small groups, going over the answers to their last test, on linear equations. In addition to helping with homework and science fair projects, the Mines students are also encouraged to talk to the younger students about careers, college and life. Some of the tutors are interested in pursuing teaching careers, while others just like working with young people or appreciate the break from their own school work. Blue O’Brennan, a sophomore majoring in physics, once brought one of his own statics exams to tutoring, just to show the younger students how what he’s doing in college is like what they’re doing in middle school. Working as a tutor has also been good practice for O’Brennan, who hopes to become a high school physics teacher. That connection to the bigger picture is so beneficial for younger students, said Alyse Nelsen, one of two College View teachers who partnered with Smits on the tutoring program. Three years into a five-year grant, the tutoring program is already seeing results, Smits said. Students who have never tested at grade level on standardized math and science tests are passing for the first time and science fair participation at the school is up dramatically. Smits also got approval to do a long-term study of the students, surveying them multiple times a year from sixth through 12th grade about their interest, participation and self-confidence in STEM. Early results are already showing increases in confidence and interest. That impact can’t come soon enough, either. STEM occupations in the U.S. are projected to grow by 8.9 percent between 2014 and 2024, compared to just 6.4 percent growth for non-STEM occupations, according to the U.S. Department of Commerce’s Economics and Statistics Administration.